Cycling There are 11 products. Ebook Cycling Routes in Mallorca - Andratx: with descriptions, elevation, maps, attractions, photos, difficulty, km and approximate duration, in 4 languages: English, German, Spanish and Catalan. 10 Cycling Routes in Mallorca, with descriptions, elevation, maps, attractions, photos, difficulty, km and approximate duration, in 4 languages: English, German, Spanish and Catalan + Map 10 marked routes for road bikes and mountain (Mallorca). Available package of 80 units. 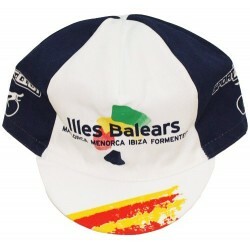 Tour online download GPS / GPX Cycling in Mallorca. Route: Llucmajor. To download the route you need to register. 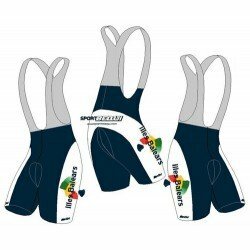 Tour online download GPS / GPX Cycling in Mallorca. Route: Valldemossa. To download the route you need to register. 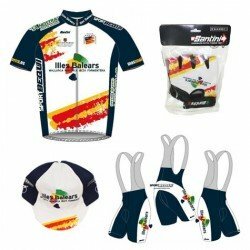 Tour online download GPS / GPX Cycling in Mallorca. Route: Puig Major. To download the route you need to register. 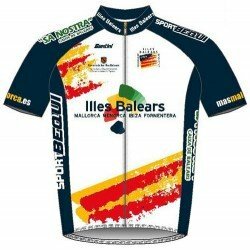 Official cycling jersey of the Balearic Islands cycling team. Santini. 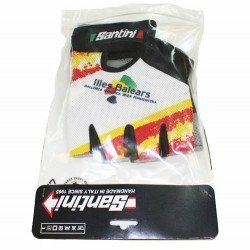 Official glove of the Balearic Islands cycling team. Santini.